Everyone wants to get the lowest possible mortgage rate. But shopping around and investigating all of your options in search of the best deal can be time-consuming. And time itself is money. Fortunately, there are ways to shop for a mortgage more efficiently while still doing a thorough job of it. And when differences of a mere one-eighth of a percent on your mortgage rate can add up to thousands of dollars over the life of your loan, being thorough is important. The following tips will help your mortgage shopping go smoothly while allowing you to quickly and confidently find your best deal on a home loan. This is where you need to start. Don't waste time seeking a loan you won't be able to qualify for, or shopping for a home that's beyond your means. Many borrowers make the mistake of failing to take into account the full cost of the monthly mortgage payment when estimating what they can get approved for. But things such as taxes, homeowner's insurance and mortgage insurance – which are typically included with the mortgage statement – can easily make up as much as one-quarter of the monthly bill. How much can you qualify for? Your total monthly debt payments – including the mortgage, car payments, credit cards, student loans and any other debt generally can't exceed 41 percent of your gross monthly income. You can sometimes go higher by increasing the down payment. Note that monthly debt doesn't include bills for ongoing expenses that are incurred each month, such as utilities, internet service, cable TV and the like. You can generally qualify for a mortgage with a FICO credit score as low as 620, provided you meet other guidelines for things like income, debt load and down payment. However, your credit score can also affect the interest rate you pay, the size of your down payment and even the type of loan that you choose. Conventional mortgages backed by Fannie Mae or Freddie Mac are generally the first choice for borrowers with credit scores of 720 or above – they offer a good combination of low rates and attractive terms for borrowers in that range. However, those rates increase substantially as scores drop into the 600 range. The FHA, on the other hand, doesn't use risk-based pricing, so you pay the same mortgage rate with a 640 score as you would if your score is 740. However, the other costs associated with an FHA can be higher than for Fannie/Freddie loans. The takeaway? If your credit score is 720 or higher, you're probably better off focusing on a Fannie/Freddie mortgage rather than going the FHA route. If your score is 680 or below, you'll likely want an FHA loan. In between, it can be a tossup. To see where you might fit in, you can use this chart to see how rates vary according to credit score on a typical conventional mortgage. 3- Are you a veteran? If you're a veteran or otherwise qualify for the VA loan program, don't even think twice about it. Go the VA route. The rates are excellent and there's no requirement for a down payment or mortgage insurance unless 1) you're buying a fairly expensive home or 2) you've already used up your entitlement on a previous home purchase or 3) you have the money in hand for a down payment of 20 percent or more. Otherwise, it isn't likely you'll find a better deal investigating Fannie/Freddie/FHA options. Most people shop for a home loan by comparing mortgage rates. While that can be useful, it's also misleading. Lenders often compensate for artificially low rates by charging higher fees up front, particularly by including something called "discount points." Discount points are a way of buying a lower mortgage rate by paying part of the interest up front. But there are other ways a lender can offset a lower rate by charging higher fees as well. This is where APR or annual percentage rate, comes in. It provides a way of expressing the total cost of the loan in terms of a percentage rate. It's basically the rate you'd pay to roll all the closing costs of the loan into the mortgage itself. While it isn't a precise comparison, particularly if you sell or refinance before the loan is paid off, it's a good way to make fast, initial comparisons when sorting through options. It's also a good tool for making a final choice if you aren't comfortable with math. However, don't rely solely on APR if you're considering an adjustable-rate mortgage (ARM) instead of a fixed-rate loan – there are too many other factors involved with those to make an accurate comparison. One of the main pieces of advice you'll hear about mortgage shopping is to compare the fees charged by different lenders. However, that can be very difficult to do, because not only do the fee amounts vary from lender to lender, but different lenders will use different names for the same fee, bundle several fees under one name or break one fee into several separate ones, or not charge for some services while billing for others. It's enough to make your head spin. But there's an easy way to address it. Simply compare the total fees from one lender to another. After all, the individual charges don't matter as much as the total you're paying, right? When you're doing this, though, be sure to break out any charges for discount points when doing your comparison. That's because discount points are a special type of fee used to buy down the interest rate, and that can throw off your comparison. So when comparing fees, ask your lender first to provide you with an offer that excludes discount points so you can make accurate comparisons of fees among various offers. One of the best time-saving strategies you can use is to shop online for your mortgage. These days, it's no longer necessary to pay a visit in-person to a lender or even to talk with a loan officer on the phone. Pretty much everything you need to sort your list of possible lenders and winnow it down to 2-3 finalists can be done online. Often, you can even get all the information you need to choose a lender and even apply online, without making a phone call. A lender may not even have a physical office in your state, but can still be licensed to do business there. You can make all your queries and submit all your documentation electronically. The only time you actually need to go anywhere is for the closing, which can be handled at the office of a local title agency or attorney. Getting prequalified is one of the best things you can do to make your homebuying and mortgage application process go smoothly. First, it provides you with a statement from a lender as to how much they're willing to loan you and on what terms. That means you avoid wasting time looking at properties you can't afford. Second, it gets your basic information to the lender so that they have most of what they need prior to you submitting the actual application. So if there are any gaps in your information, they can let you know up front. There still may be a few thing to straighten out once you submit the actual application, but at least you'll have the basics nailed down. 8- Avoid "paralysis by analysis"
Some borrowers are so determined to find the absolutely best mortgage rate and terms that they'll spend weeks researching lenders in an effort to shave off that last one-eighth of a percent or save a couple hundred dollars on fees. However, mortgage rates fluctuate all the time – the rate that's offered this morning may have changed by afternoon. So while your extra efforts may have found a lender who'll charge a bit less in fees or a fraction of a percent less in interest than the completion, market rates may have risen in the meantime and wiped out any savings you would have realized. So don't do comparison shopping to death. 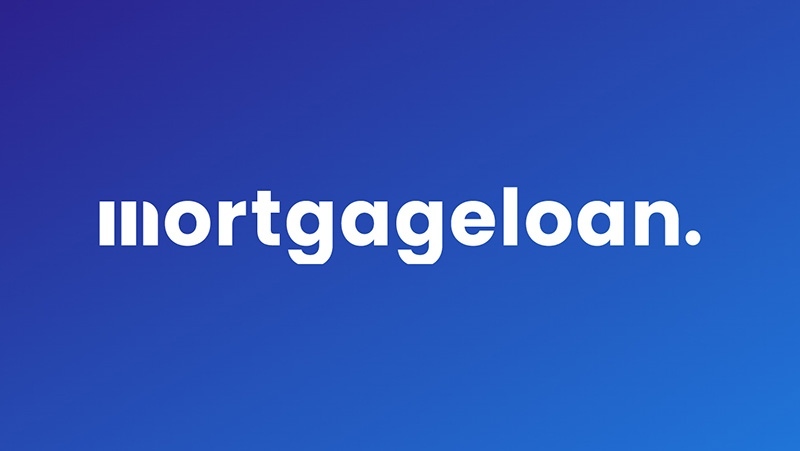 Check out a bunch of lenders, winnow them down to two or three of the most promising, then contact each and request a breakdown of rates and fees for the loan you'll be requesting. Put in your requests to each on the same morning and afternoon, so that they're all working off the same market rate. Then compare their offers, pick one and lock in your rate. Shopping for a mortgage can be an intimidating, time-consuming process. But by focusing on a few of the most important elements and not letting yourself get overwhelmed by the choices, you can make the process go a lot more smoothly.